You likely use a couple keyboard shortcuts to navigate Google's browser, but why stop there? 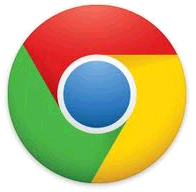 Check out this list of shortcuts to raise your Chrome game. I use a Mac, so I have listed shortcut combinations for a Mac keyboard, but an equivalent Windows shortcut exists for most if you substitute the Windows's Ctrl key for a Mac's Command key. I note where a Windows shortcut does not exist or drastically differs from the Mac shortcut. With this shortcut, you can act like the Red Priestess from Game of Thrones and bring back recently closed tabs from the dead. You probably use Command-T to open new tabs, but did you know that Command-Shift-T opens your most recently closed tab? Chrome remembers the last 10 you closed. If you are like me, then you have multiple tabs open within seconds of sitting down at your computer. To jump amongst your open tabs, press Commandand any number key between 1 and 9. Command-1, for example, takes you to your first (left-most) tab. Likewise, Command-5 jumps you to the fifth tab from the left. Command-9 moves you to the right-most tab, so this keyboard shortcut is really only useful if your open tabs number in the single digits. Use Command-Option-right arrow to jump one tab to the right, and use Command-Option-left arrow to jump one tab to the left. On Windows, use Ctrl-Tab to move to the next tab to the right and Ctrl-Shift-Tab to move to the next tab to the left. This shortcut isn't a keyboard shortcut but one of the best features of Chrome. Chrome is quite flexible when it comes to moving your tabs around. You can click and drag a tab to move it to another spot among your row of open tabs in the current window. You can also drag a tab out of the current window and start a new window or drag it from one window to another. Hit Command-M to minimize your current window. There is no Windows equivalent to this minimize Chrome shortcut. This shortcut saves you from needing to click the little X to close a tab. Instead, use Command-W to close your current tab. Likewise, instead of clicking the X to close a Chrome window, use Command-Shift-W.
Life is full of uncertainties. To wit, some links in Chrome open in the current tab while others open in a new tab. In order to be sure a link opens in a new tab, press Command when you click the link to stay on your current page while opening the link in a new tab in the background. Similarly, use Command-Shift-click to open link in new tab and switch to it. Hold down the Shift key when you click a link to open it in a new window. Similar to Command-N opening a new window, Command-Shift-N opens a new Incognito window. To go back a page, simply hit the Delete key. Your cursor, however, can't be in the middle of filling out a form or a Google Drive file, for example. On Windows, use the Backspace key. Moving in the opposite direction of the above shortcut, use Shift-Delete to move forward a page. On Windows. that's Shift-Backspace. To jump to the bottom of a page, hit Command-down arrow. You can then return to the top of the page with Command-up arrow. On Windows, hit the Home and End keys to go to the top and bottom of a page, respectively. When you are viewing a page (and not filling out a form, using Google Docs or otherwise engaging your cursor in Chrome), hit the spacebar to page down on a page and Shift-spacebar to page up. You can stop a page from loading by hitting the Escape key. To reload, hit Command-R. Instead of clicking into the URL bar, you can hit Command-L to move your cursor to URL bar and highlight all text in it. If you click into the URL bar and don't highlight the text of the current URL, you can hit Command-Delete to highlight and delete all of the text in the URL bar. On Windows, with your cursor blinking in Chrome's URL bar, you must hit Ctrl-A to highlight all text in the URL before hitting Backspace. Sometimes I accidentally zoom in on a page when flitting about on the Web, which is why I love this keyboard shortcut: Command-0 (as in zero) return to the normal zoom level in Chrome. You probably know this oldie but goodie, but it's worth a mention in case you don't: Command-D bookmarks the current page. Use Command-F to open the Find bar to search for text on the current page. You can open Chrome's settings by going to File > Preferences or hitting the hamburger button on the right edge and clicking Settings. A quicker way is to hit Command-comma, but it works only on a Mac. Use Command-Shift-J to view the files you downloaded with Chrome in a new tab. Again, this one is Mac-only. It's not all good news and shortcuts, however, for Chrome users on a Mac. Chrome eats a MacBook's battery for breakfast, which has this blogger using Opera to extend battery life. Important shortcuts for YouTube watchers!